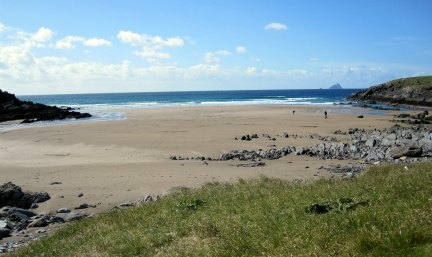 The Ring of Kerry and the Dingle Peninsula are blessed with the finest Kerry beaches. High on beauty and yet surprisingly low on people these are truly remarkable places to visit. Rather than "try the impossible" and pick just one, here are my three favourites. 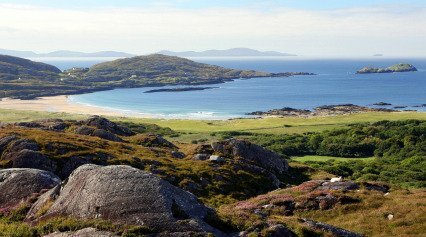 Despite its fame Derrynane beach remains un-crowded even in the height of summer. Most travelling the Ring of Kerry just prefer to take in the views. Take the plunge off the main road the rewards are threefold. 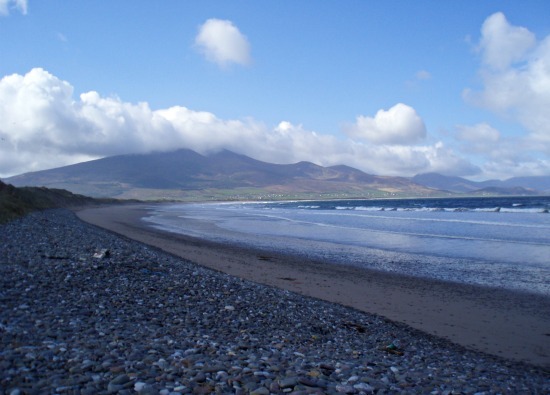 What looks like one beautiful beach is in fact three beautiful Kerry beaches! One is sheltered and calm. 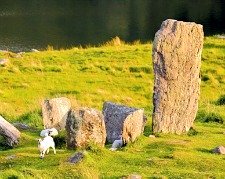 One harbours beautiful remains of an old stone abbey. And the last has a long stretch of golden sand backed by fantastic sand dunes. As you leave via Caherdaniel village call into The Blind Piper pub. They serve beautiful food and the interior is beautifully traditional. If you make it to St Finian’s Bay give yourself a big pat on the back as you have made it half way around the fab Skellig Ring coastal drive. 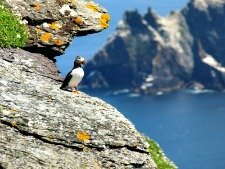 Your trip will not have been wasted as this little gem of a beach has great surf and great views out across the Atlantic to the world famous Skellig Rocks. Of all the beaches in Kerry St Finian's Bay most reminds me of the small intimate beaches on the north shore of Devon and Cornwall, with fields full of sheep creeping right down to the cliffs. The quirky Skelligs Chocolate Factory situated at the back of the beach is a real bonus and bound to turn even full grown adults into big kids. If the forecast is windy try and head down to Brandon Bay to take part or just watch the wonderful displays of windsurfing that are often on show here. Many professional windsurf events have been hosted here so if the car park is full of surf vans, that’s a good sign that there will be plenty of talented surfers out on the water. Just try not to get your car stuck in the sand like I did! In the evenings when all the action has finished out on the water head into Spillane’s Bar for some food and a few pints of Guiness. Let's face it, they are all great! Each has its own story to tell, so here is YOUR chance to tell it. It's easy! Join in by letting us know your favourite beach and what makes it special to you? 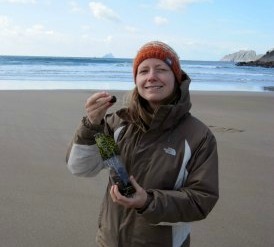 Do you have a photo of your favourite beach? Great! Click the button and find it on your computer. Then select it.